Kim and Kourtney Kardashian Show Off Their Bikini Bods on Turks and Caicos Vacation -- See the Pics! 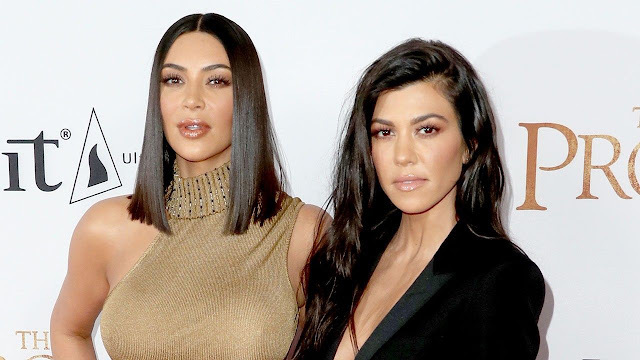 Kim Kardashian West and her sister Kourtney took to the Turks and Caicos Islands recently for some beach, fun in the sun and showing off of their bikini bods! The pair both posted Instagram stories this weekend detailing their fabulous vacation together, with Kim simply stating, "My office for the day" as she walked onto the beach. She follows that up by watching the waves, showing off her neon-painted toes ("neon nails for vacay!!!" she writes) and finishes with a gorgeous bathroom bikini selfie. Not to be outdone, Kourtney showed off her own curves, posting a glamorous beach bikini and a bootylicious bicycle shot, for good measure. Kourtney is vacationing there with her boyfriend, Younes Bendjima, where the pair stayed at the five-star Amanyara Resort, according toE! News. The pair had just had a steamy beach vacation in Punta De Mita, Mexico in January. Bendjima posted a vacation selfie of his own on Instagram during this beach trip, showing off the buff body that made him a successful male model.